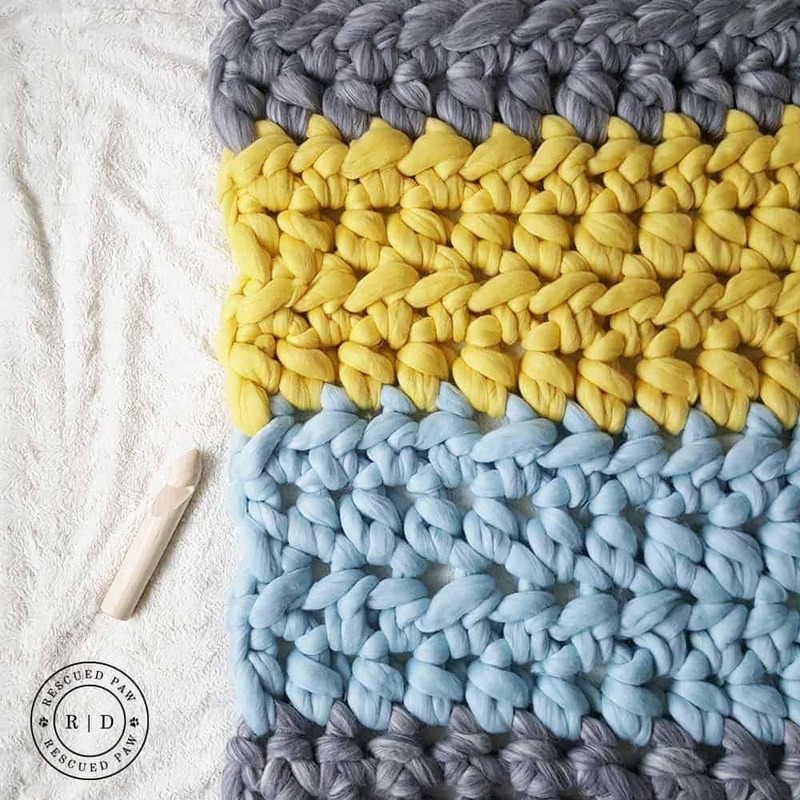 Use this big yarn blanket to create a stunning crochet piece for your home! 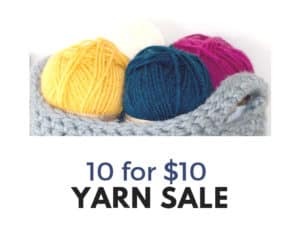 All you need is some extra chunky yarn, a big crochet hook and you are good to go! I was so excited when Sarah from Mama Knows Luxury asked me to try out some of her amazing big stitch yarn. It really is quite beautiful and so very soft to work with. 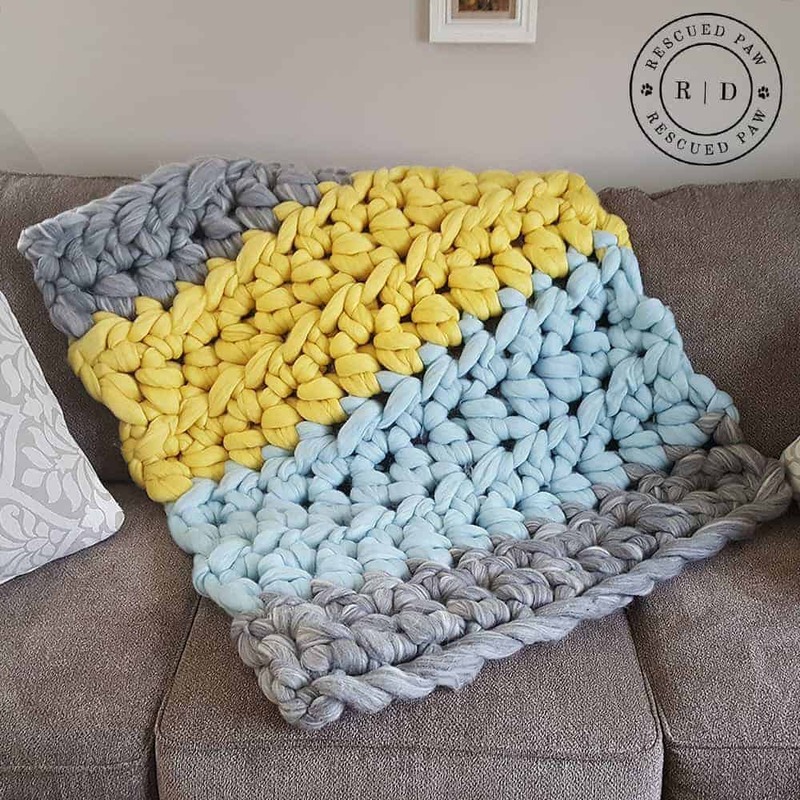 🙂 This yarn so awesome to work with and created this giant cozy blanket. This throw is really the definition of an extreme crochet blanket if you ask me! 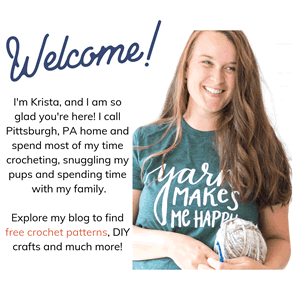 If you love extreme crochet patterns then this one is for you! 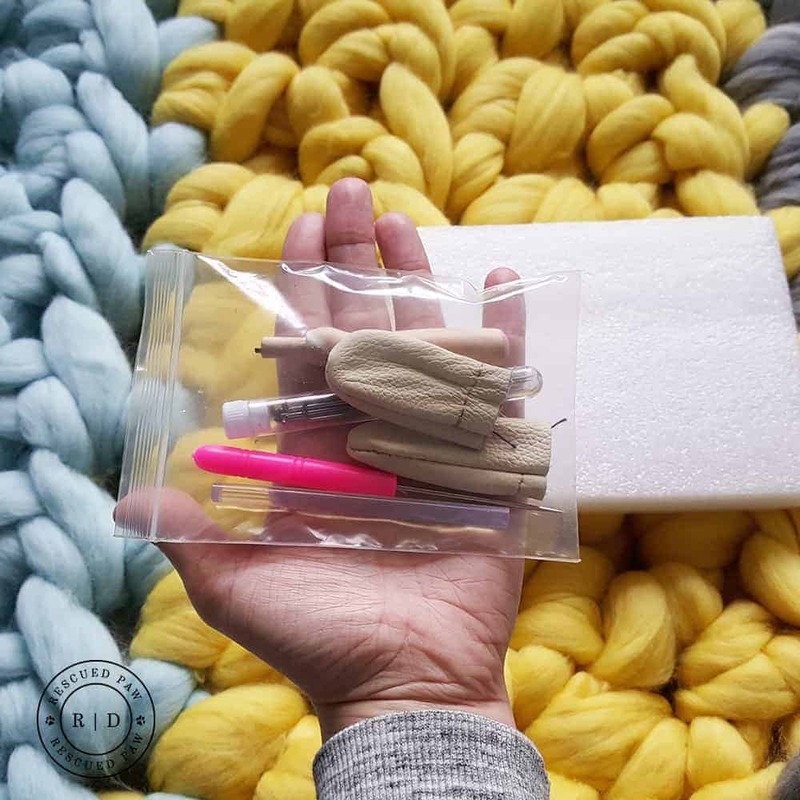 Make a Big Yarn Blanket fast with this Extra Extra Chunky Yarn! 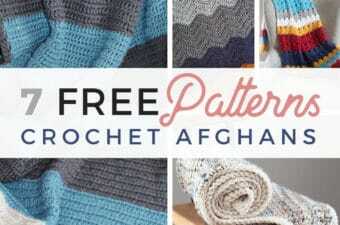 So Many Beautiful Colors to Chose from to make your big blanket! For my colors I chose Grey, Ice Blue (pictured above) and Yellow which in my opinion the perfect spring colors! 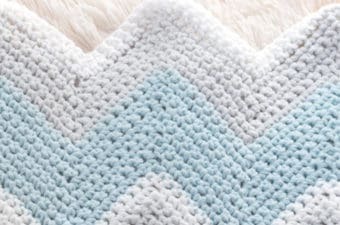 (SHOP the yarn) I started my blanket by chaining 13 with my 40mm crochet hook (which is also from Mama Knows Luxury) and then proceeded to do simple half double crochets back through on my ch’s to complete the first row. 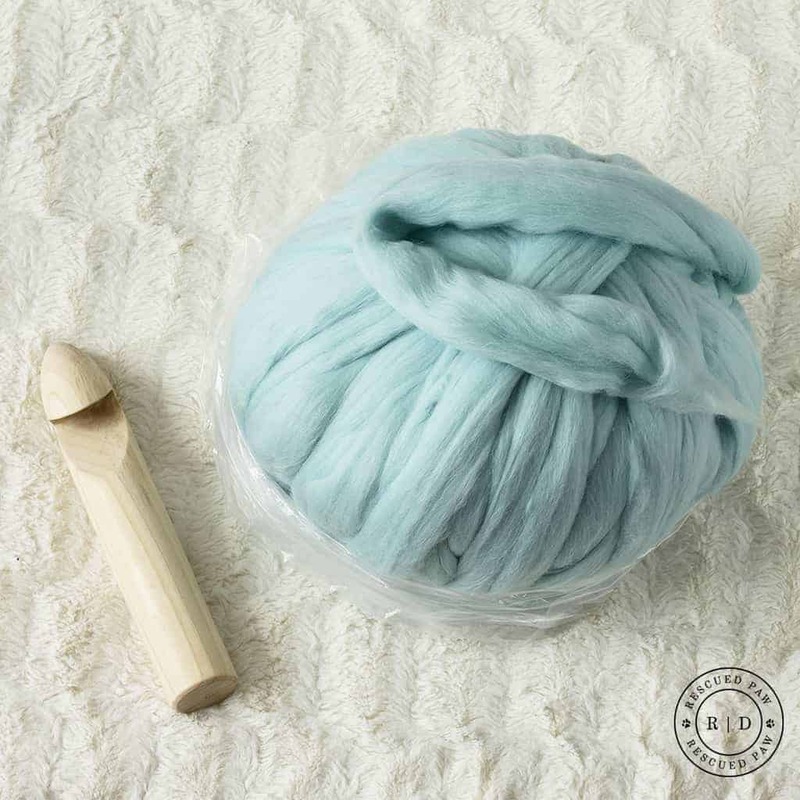 You could make a Big Knit Blanket too with this yarn! 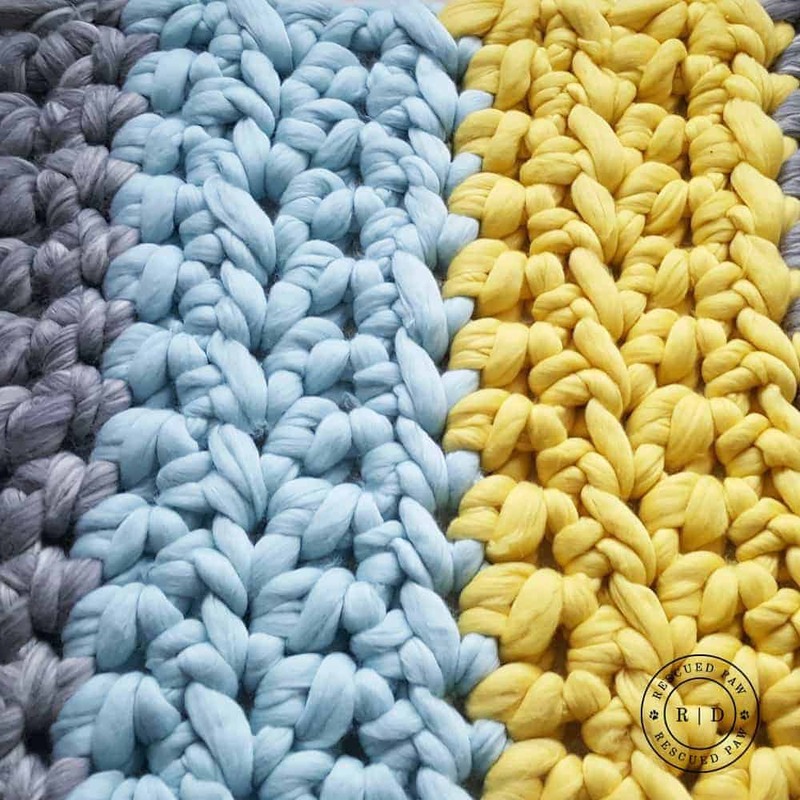 I have also seen this yarn used to make extreme knit blankets with too, and it looks just as amazing! I think I may want to try that next! 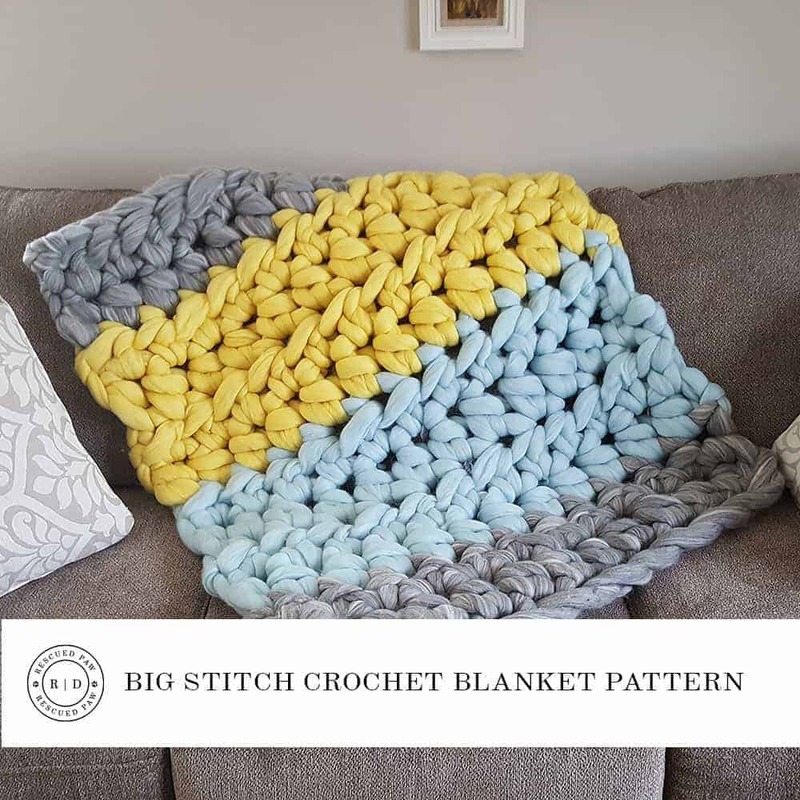 Keep on scrolling down for the FREE big yarn crochet pattern or you can even check out the link below that goes directly to Sarah’s shop where you can purchase the PDF of this pattern and all the supplies to make your very own extreme blanket! I would suggest felting color ends as you go so you don’t waste yarn. 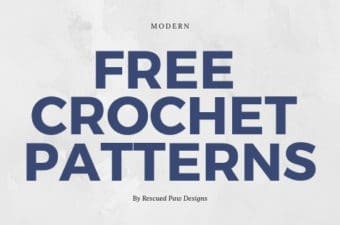 Keep on scrolling down to find the simple free crochet pattern! Happy Extreme Crochet Blanket making! Click Here to watch a video on felting from MamaKnowsLuxury to learn more. I really loved felting my blanket! It was really fun to see how the wool eventually blended together to become one strand. I’m obsessed! After you are done felting then you are finished with your very own extreme blanket! Thanks for stopping by to take a peek at my Big Stitch Crochet Blanket! Don’t forget to share your finished work with me! Note: Thank you to Sarah of Mama Knows Luxury for providing me with the wool for this project! You may also like these crochet blankets too..